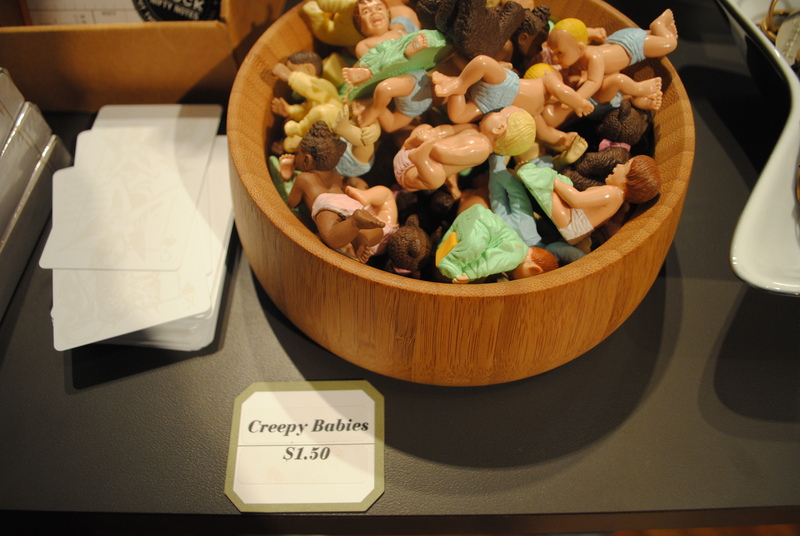 Visiting Mack in Providence is always an adventure; we stumbled into an incredible shop with kitsch and art and I became instantly smitten with this hilarious bowl of “Creepy Babies”. Thank you for the apt description. Love it. So EXCITING! That’s my shop, The Curatorium, on your lovely blog! A friend of mine is a subscriber, and recognized the Creepy Baby price tag. Many thanks for making my day! No thank you for your brilliance! And thanks for reading too!